Remove scratches, etching, graffiti, or hard water stains from window glass and even shower doors. 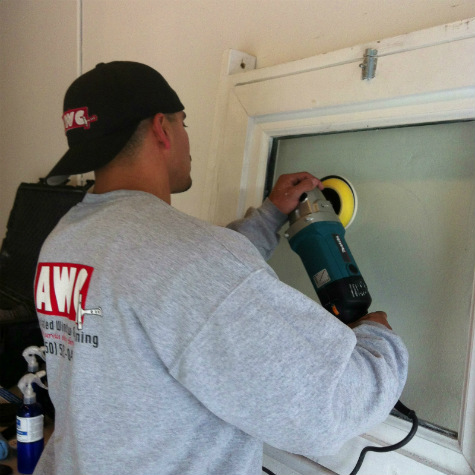 With our Glass-Renu equipment, we can bring a damaged window back to looking good again. We can also offer a polish and seal that will keep it looking good longer.